Mr. Chavez Peón joined Promecap in 1997 at its foundation, and is currently a Managing Partner at the firm. 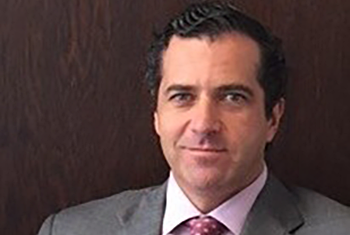 Prior to joining Promecap, Federico held the position of Chief Risk Officer at Banco Santander Mexicano. From 1987 to 1996 he held several positions in the corporate banking division at Grupo Financiero Inverméxico, reaching the position of Divisional Director of Corporate Banking and Credit. He participates, and has participated in the past, in the Board of Directors of several companies including Grupo Aeroportuario del Sureste, S.A.B. de C.V., Cultiba, S.A.B. de C.V., Grupo Famsa, S.A.B. de C.V., Unifin Financiera, Industrias Innopack, Maxcom Telecomunicaciones, among others. Federico holds a bachelor degree in Industrial Engineering from the Universidad Nacional Autónoma de México.